Lying around all summer, laid up with back problems and suffocating in the heat and humidity in Ohio, I have not posted in months. I have spent most of the summer reading books and living in some far off world and not creating much of anything. I’m kicking myself and trying to get back in the dance. To do so, I believe I’m going to host a blog hop. It’s something I wanted to do before but had no idea how to accomplish such a thing. 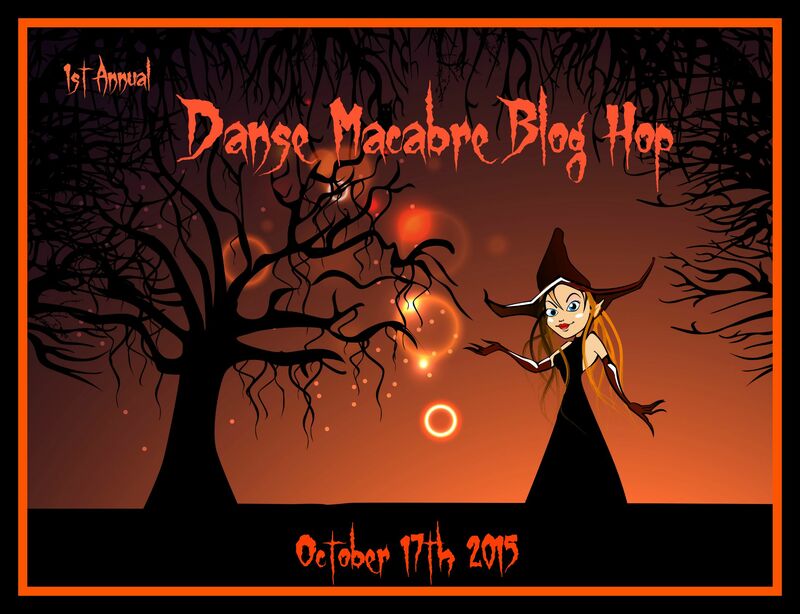 I chose the month of October for this hop to happen and I chose a theme that goes hand in hand with Samhain, or Halloween as you may call it. 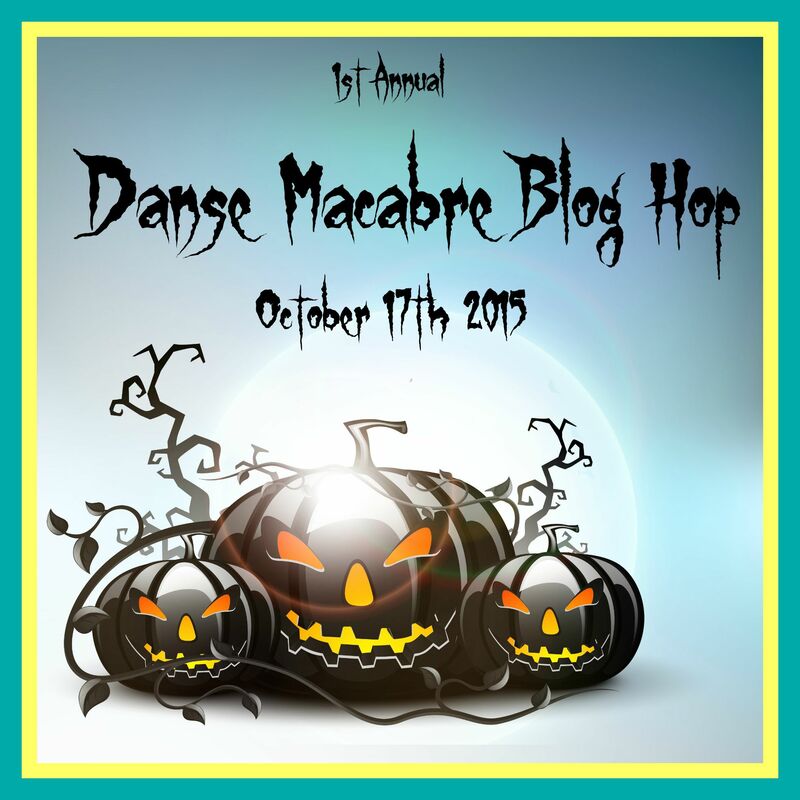 My hop is going to be called Danse Macabre. Oh, right, it’s French, you say, what the heck is that. 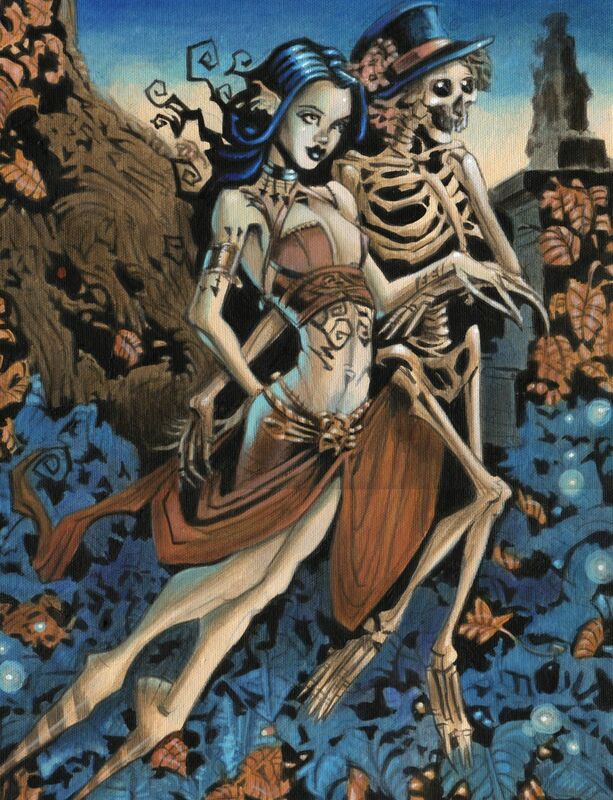 Literally, it means the dance of death and the phrase was coined in Medieval times when artistic types used allegories most of the time. 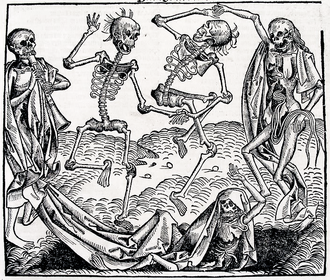 Danse Macabre illustrates the universal aspect of death. It comes to all, regardless of station in life. Paintings were created with skeletons dancing their way to the grave, sermons were preached cautioning people that the material side of life was unimportant, death is a fate we must all meet, peasant, pauper, priest, pope or noble. So, enjoy life, make the most of it for we are all on our way to the same fate. Life, after all, is a glorious dance with the grave as the finale, dance through it with joy! 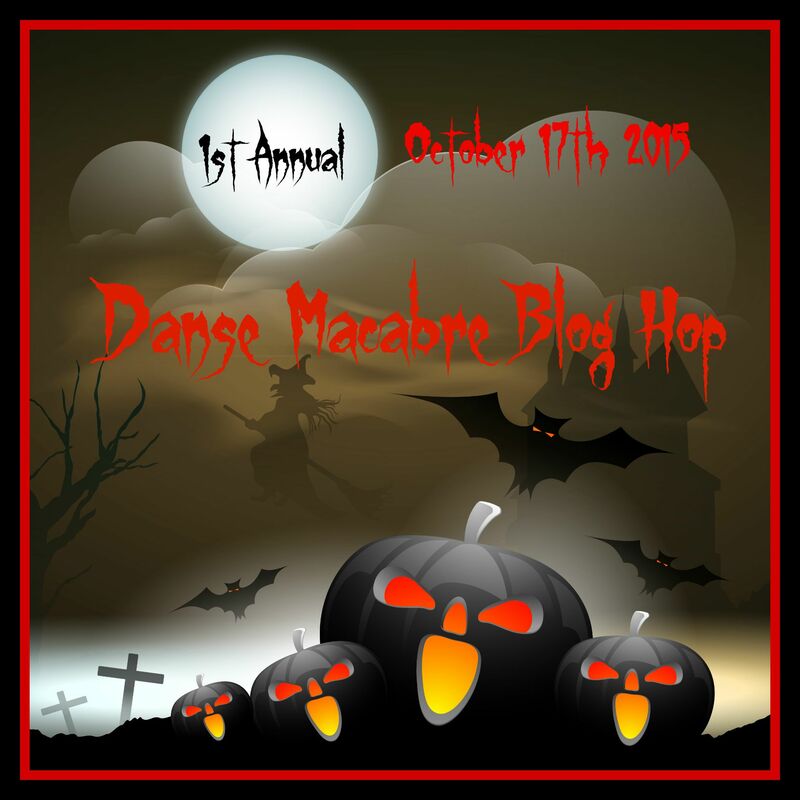 Now you want to know what is this blog hop about? Please, no medieval stuff you say. Nope. and we are not going to get morbid either. We are going to join the dance. We’re going to have a party. The challenge? Pick a spooky or scary or creepy representation from a Halloween type character as your inspiration. It can be really scary or it can be generic, like “a witch”. It can be cute, like Mavis, Dracula’s daughter from Hotel Transylvania. It can be a zombie or a mummy. It can be Elvira, that Queen of the Night or your favorite vampire. Make something. It does not have to be jewelry. It can be decorations or some other type of craft. It can be a costume. Make it, show it off and tell us about it. How will you celebrate at our dance? Sign up by commenting on this blog. Tell me you are IN and leave your name and blog address. You might want to leave your email address also, especially if you are not in the Bead Peeps Group so I can email you and remind you of the date. And while you are here, choose one of these pictures for our blog badge. I simply cannot decide. one Please do not sigh up if you do not have an active blog! I will check links. Signups are open until August 25th. On the 31st of August, I’ll have a list of participants here on the blog. You can copy and paste for your own blog. And, I will have chosen the official badge for the hop with a link. come on now, you know it’s going to be fun! Count me IN. I too have been having back issues. And now that the surgery is healing nicely it is time to DANCE ! be sure you give me your blog address please! I’m in! I will check everything over tomorrow! I’ve been neglecting my blog all summer – I’m in too. Number 3 is the one I like. Be sure you give me your blog address. Count me in! Great theme. All three badges are cute. Can’t wait to see which you choose. Count me in! I’ll post on the fb page too. I am so in on this here’s my blog located at. Deb, I am adding you to the list. I had one other lady so …….why not?